Three days till I get away from the rig here and looking to hit the woods and mountains pretty hard. Ive had a couple reports that the elk arent going to hard yet do to warmer weather but thought id see what you guys are seeing out there? Either way I hope to be in my new honey hole for daylight Wednesday morning so hope they are squeeling a bit! If not I guess ill be heading after old curly horn! Re: West Central Elk Bugling? 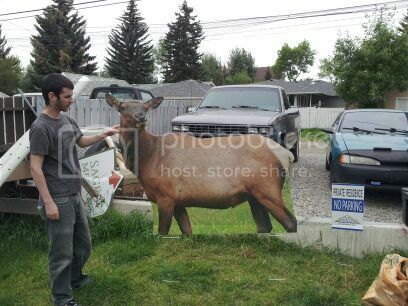 Was out a few days ago north of rocky not hunting but ridding normal amount of sign but that’s about it. A friend of mine makes signs for show homes this brain wave just came to him recently think he has a small herd to set up lol. The Hunting Chronicles guys have been calling bulls in everyday and I have heard they are calling pretty strong right now. So the countdown is on hey !! Good Luck Darcy. 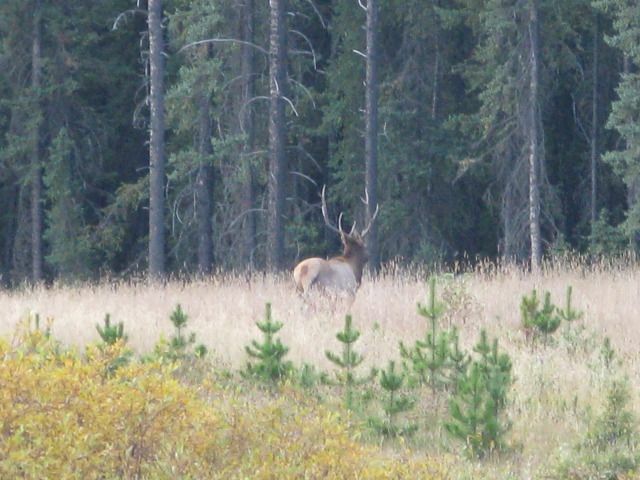 i had a muley Buck lined up in the 40yd pin today but held off....not sure if made a bad decision or not. 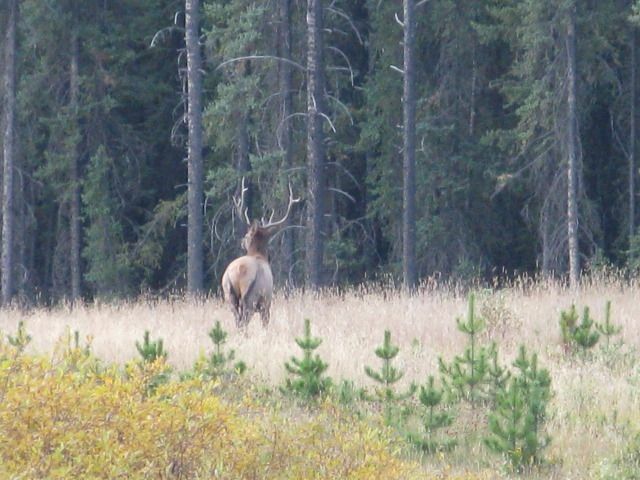 If i dont get out for curly horn on the 17th we will be calling Elk as well. It's starting to get vocal around NW alberta. This guy was out at 2:30 yesterday afternoon. I had some bulls screaming their heads off on the 4th until I sunk a grim reaper into one. Should be only getting better! Hopefully the cold weather will help things out. Trying to figure out when I can get out for another few days out towards Edson. Any word on the elk up that way?